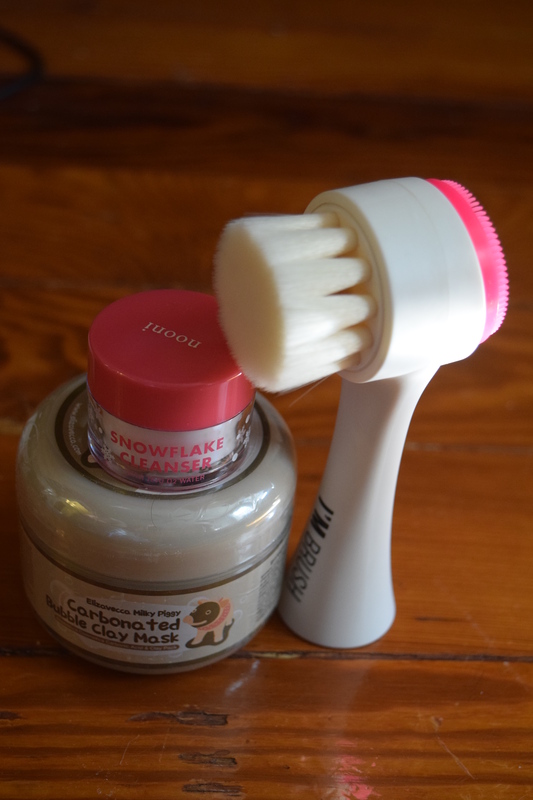 It’s time again for some fun with Korean Beauty Products. The folks from Memebox always send me fun things to review and this month I got a bunch of products I was super excited to try out. 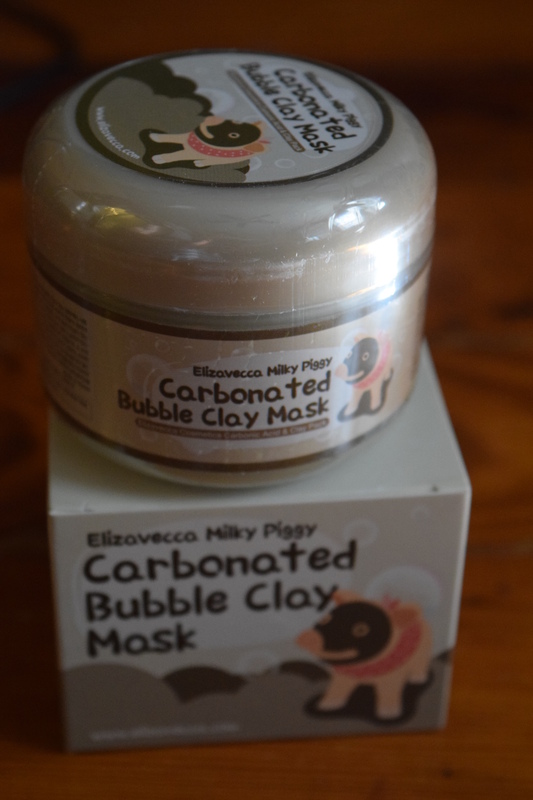 I gave this mask a try and it actually starts bubbling pretty quickly. After waiting the prerequisite five minutes, the product looked pretty horrifying, like you had grey fluffy cauliflower growing on your face, so I recommend locking the bathroom door unless you want to traumatize your Significant Other (or any small children in the vicinity). I rubbed in the product, then rinsed it clean as instructed. It washed away much easier than other clay masks I’ve used. My skin afterwards definitely felt much cleaner and quite a bit smoother. I was concerned the product would be drying but it absolutely wasn’t. I think this is a superb mask for only $12 and could be a lot of fun for at home spa night with or without your closest friends (just don’t let one get a picture of you pre-rinsing). Sadly this is currently sold out, but I’m sure Memebox will bring it back. 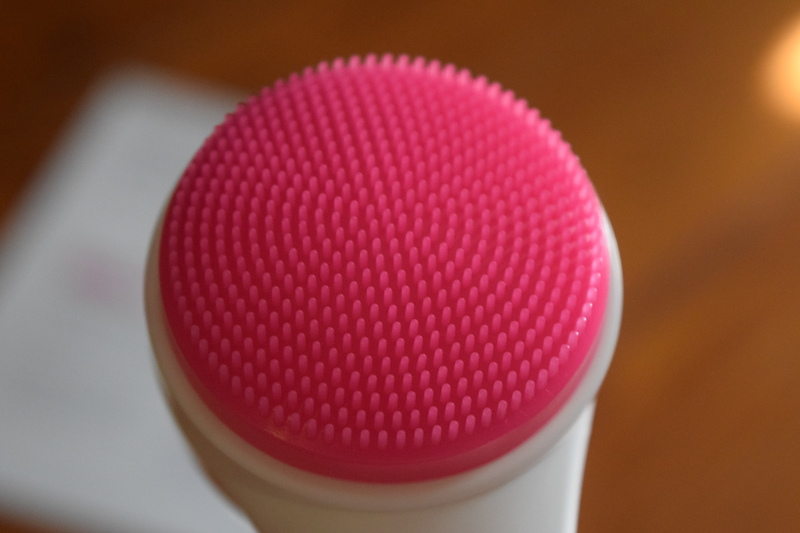 The white side is super soft and the pink side gives a nice exfoliation. I actually own a Clarisonic Mia and even with the sensitive brushheads, I can’t use the product every day. This is much gentler and I like that it has two different types of bristles. The handle has a nice weight to it and this product definitely feels more expensive than the $12 price tag. 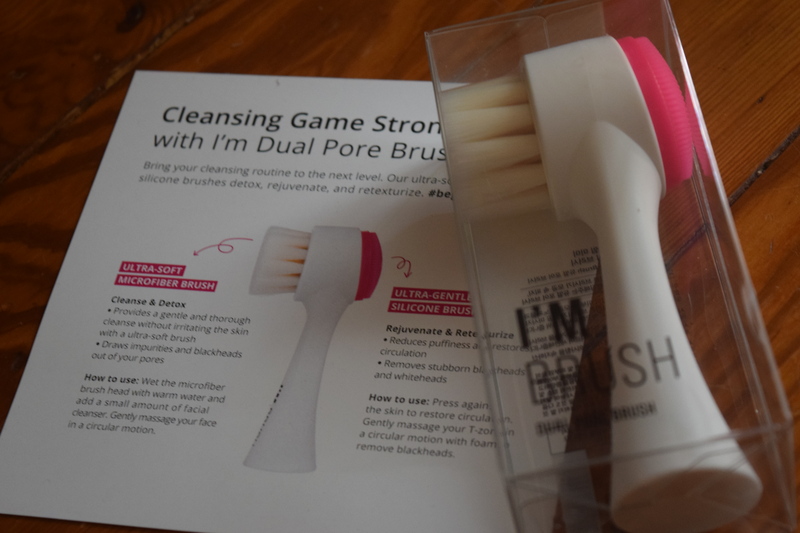 If you’re looking for a versatile, affordable facebrush, definitely give this one a try once it’s back in stock. 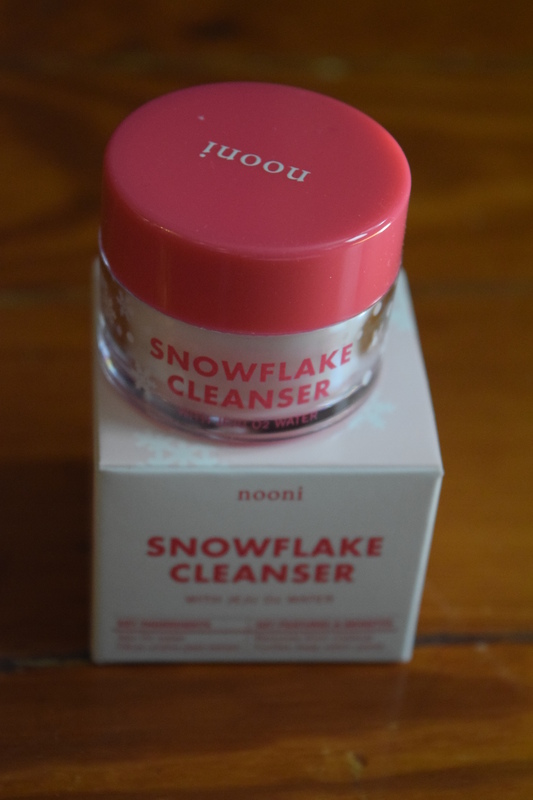 “Step 1: Cleansing balm – It starts off with a balm texture that melts into your skin like snowflake. Cleansing balm allows for a mess-free, easy application. Step 2: Cleansing oil – The balm turns into an oil as you massage into your skin. Cleansing oil is the most powerful form of cleansing that dissolves makeup, sunblock and oil-based impurities such as sebum. Step 3: Cleansing milk – Massage once more with wet hands to emulsify the oil. Cleansing milk gently lifts away the oil and water-based impurities such as sweat and dirt. I was interested to see how this would compare with my regular oil cleanser and sadly it’s not a replacement for that. Oil cleanser can remove heavy makeup as well, while this requires you to remove your heavy/waterproof makeup first (which Memebox mentions on the site). That being said the cleanser itself is lovely. 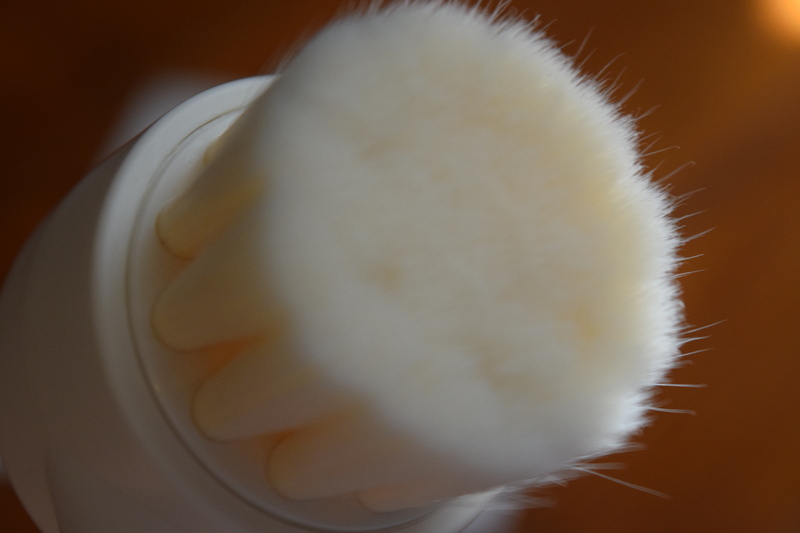 It has a balm like texture that works well with the included facebrush or with a Clarisonic. It melts away and gives you that squeaky clean feel without drying your skin. The size I received was a deluxe sample so for $13 you’d get a much larger size. I think it’s a great price for the product and if you’re someone who wants the benefits of an oil cleanser, but doesn’t like the feel of oil on your skin, consider giving this cleanser a try. 15% OFF skincare products with code ‘LOVEYOURSKIN’. 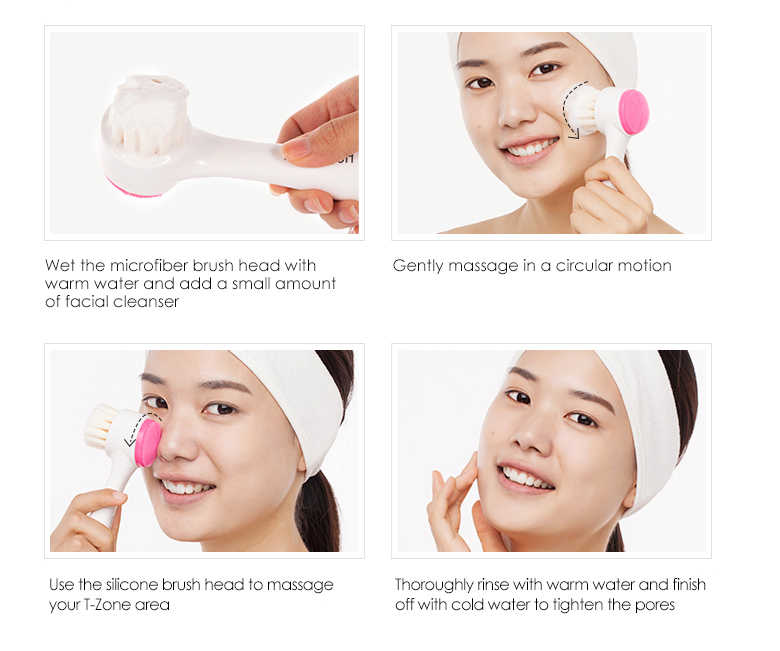 Get flawless skin with Korean cosmetics! 15% OFF Korean makeup products with code ‘makeuplove’. Memebox is the leading Korean beauty retailer, carrying curated boxes & individual items (pronounced Mi-mi-box) is the #1 beauty box provider in Korea and has recently come to the US. Their boxes include the “most trusted most trusted, best-loved Korean beauty products at everyday prices.” Memebox carries different types of beauty boxes along with full-size, Korean beauty products in their Memeshop. Unlike subscriptions, you purchase these boxes individually as they are released, so this is a great option for the commitment phobes who don’t want to be locked into a beauty subscription. There are tons of fun themes and pricing options. Costs vary depending on the box. I was really impressed with it. When you do get it, I’d love to hear what you think! I’ll definitely write a review whenever I finally get my hands on it! It is perfectly sized for travel. Memebox really should put together a travel kit. I’d definitely nab one for my next trip. Completely agreed. I purchased Memebox’s K-Beauty Travel Kit when it was on sale on Black Friday, but it included just the Botanic Farms Grain Sherbet, not any other balm cleanser. I would actually buy a while set just of mini cleansers!